I remember the first time I ever watched The Wizard of Oz (1939). I must have been around 5 or 6 years old and I still remember the exact events of that afternoon. I was spending the day with my grandmother during my school holidays and we were sitting around in the lounge room. From what I can recall, these were the Pre-Foxtel days, so Nan didn’t have cable at the time and naturally, there was nothing on TV. So, Nan put on a video of a movie that she said was one of her all time favourites – one that she remembered first seeing when she was about my age and has loved ever since. At first I was put off by the film’s black and white opening. “Is this movie in black and white?” I remember saying, almost dismissing the film. “No. Only this first part.” Thank god I stuck with it because, little did I know then, but this was going to be a pivotal point in my life and a seminal moment in my love for cinema and filmmaking. 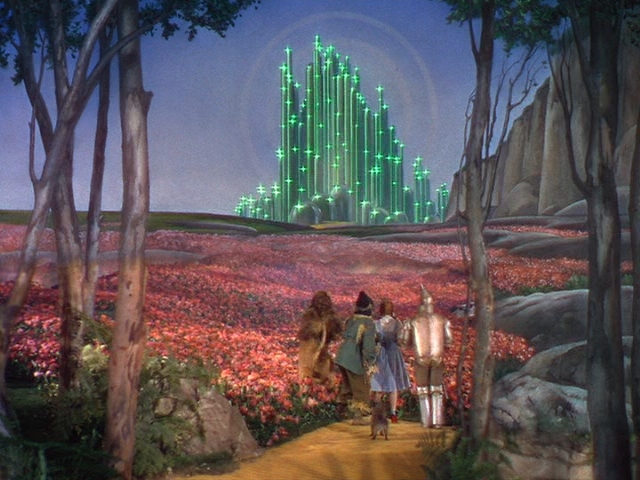 Whenever I’ve described my love of The Wizard of Oz to anybody I’ve always used the same phrase – There was never anything like it before, and there has never been anything like it since. And whether you believe that statement or not, it’s absolutely true. Being 5 or 6 when I first watched it, of course I had never seen anything like it before. And now, 15 years on, I’ve never found a film, old or new, that has captured the same energy, the same heart, the same soul and the same loving filmmaking as Oz. The one thing that strikes me about Oz is the fact that it refuses to die. The story has been around for 111 years now, and the film was released 72 years ago. And the fact is that it remains timeless, a classic, a favourite amongst young and old. There is no other film so old – with exception of Walt Disney’s animated classics – that you could put on the television and expect a young child to enjoy and want to watch over and over again. How can a film of 72 years age be so widely accepted by such a broad range of viewers today? You couldn’t imagine a 5-year-old sitting down and enjoying, say, Casablanca (1942) or Gone With The Wind (1939). The fact is – it remains timeless, familiar and accepted by younger generations because its themes, its characters and its style are still so much a part of today’s culture. There’s a reflection of values here that is still so very much emblazoned in the minds of today’s people and its characters are so familiar and so recognizable to you that you could swear they were reflections of yourself. This is why Oz is timeless, and why a child could sit down and not know that the movie was made well before their parents and even grandparents were born. 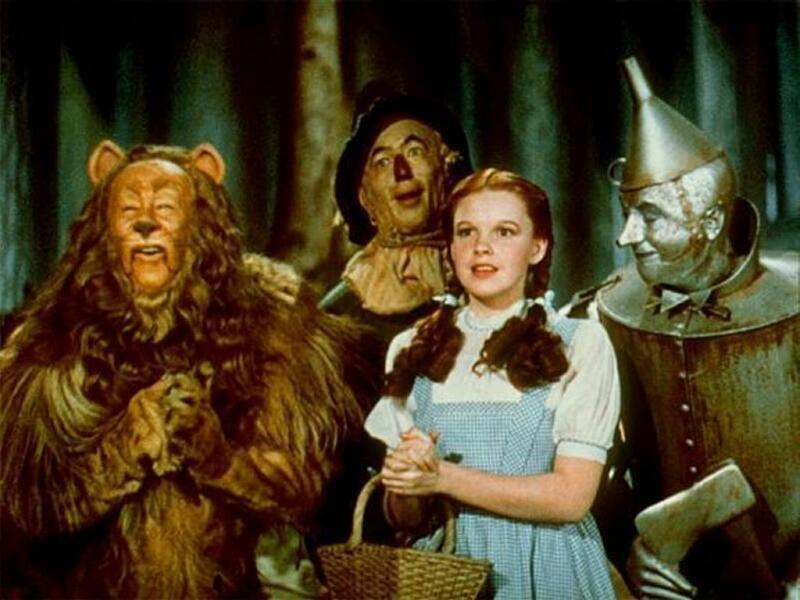 The Wizard of Oz was constructed back when films were made out of love, made from blood, sweat and tears, back before Hollywood became so overruled by movie moguls and people out to make a quick dollar. Sure, Louis B. Mayer – head of the MGM studios, and Jack Warner – head of Warner Bros. were all for making money and making big pictures that could gain revenue, but these two hard-heads never, EVER, signed off on a film that they didn’t believe had credibility. They never signed off on a film they thought they could just simply make money off, but films that they believed would be popular, films people would love to see, films people would enjoy and films that they would like to make. Oz is the product of the fairytale early days of Hollywood, back when Hollywood was known as “The Dream Factory,” before money, special effects and blockbusters took over. And for this reason, the film means so much more to me and to the history of cinema. Oz was made as MGM’s live action answer to Walt Disney’s Snow White And the Seven Dwarves (1937). Mayer wanted his audience to experience the same love and the same joy as they had when they visited Disney’s cartoon dream world. Regardless of the fact that it was nominated for a flurry of Oscars (losing out mainly to MGM’s other epic Gone With The Wind, directed and released by the same director, Victor Fleming, in the same year) Oz did quite dreadfully on its original cinema run. It wasn’t seen as a ‘flop’ but it barely made any revenue, it was seen simply as “just a movie.” But over the years, Oz was re-released over and over again and played annually on television – introducing itself to new generations with each showing. It was then that people realised “hey, we have a classic on our hands” and further cemented it into the history of film classics. It’s because of this that Oz has been deemed the most watched film of all time. 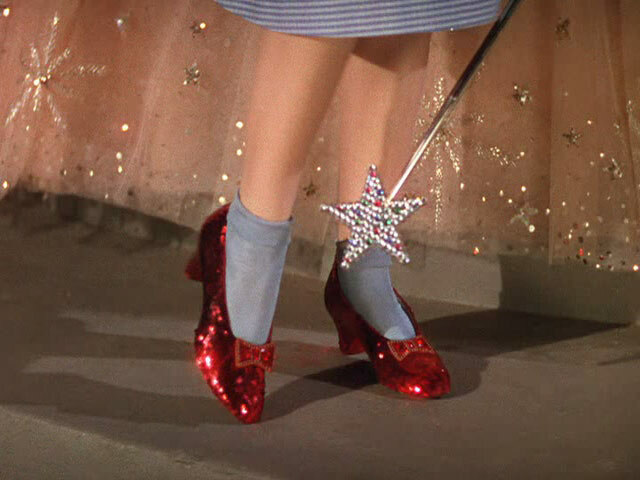 The Wizard of Oz, more than any other film has shaped the way I and many others see cinema. Oz has taught me that a film doesn’t need to make money to be successful, just as long as the makers love it, and nurture it and the viewing public do so likewise. Oz is an odd film for a guy to hold as their favourite movie of all time, but given what the film means to cinema and means to me personally I think it’s fairly justified. I say with no regret, no embarrassment and no trepidation that Oz has always been and will always be my favourite film of all time. And I, like many others, will revisit this film to the day I die, not only to help me in my endeavours to make films, but also in my endeavours to find myself, and like Dorothy, find my place in the world. Since my first viewing of Oz I have seen it in many formats and editions. I have seen it on VHS and have seen the special restoration it received for its 65th anniversary DVD and the crisp, clear and beautiful 70th Anniversary Blu-Ray restoration. But nothing can come close to seeing Oz on the big screen. I saw Oz at the Astor Theatre when it screened late last year, and was amazed how special a viewing experience it was to see it on a true Technicolour print in a theatre filled with an older generation re-visiting the film, and a younger generation experiencing it for the first time. Oz is an extremely special movie that captured the hearts of all no matter how you see it – but take it from me, seeing it on the big screen is an experience like no other. Written by our wonderful, cine-passionate and regular E-news contributor Dave Lee. This blog entry is an edited version of Dave Lee’s write-up on the film from his new film blog, Dave’s Most Inspirational Films. For your chance to win tickets to see The Wizard of Oz (screening in a double bill with Willy Wonka and the Chocolate Factory, this Sunday July 17th, 2pm at The Astor Theatre), make sure you’ve “liked” us over on Facebook! All going to plan I will bring my 5year old daughter Airlie along. We adore this film and we’ve never been to the theater before and I’d love to check it out. I just might have to try one of this chic ices too just to make sure they are the best!